"We were absolutely thrilled with the stunning cake and macarons Jennifer made for our wedding day. She captured our vision perfectly, combined it with her incredible expertise and talent and the result was better than we could have ever imagined! Jennifer made the process of designing and ordering our cake and macarons very enjoyable and easy with her timely and helpful advice and replies. 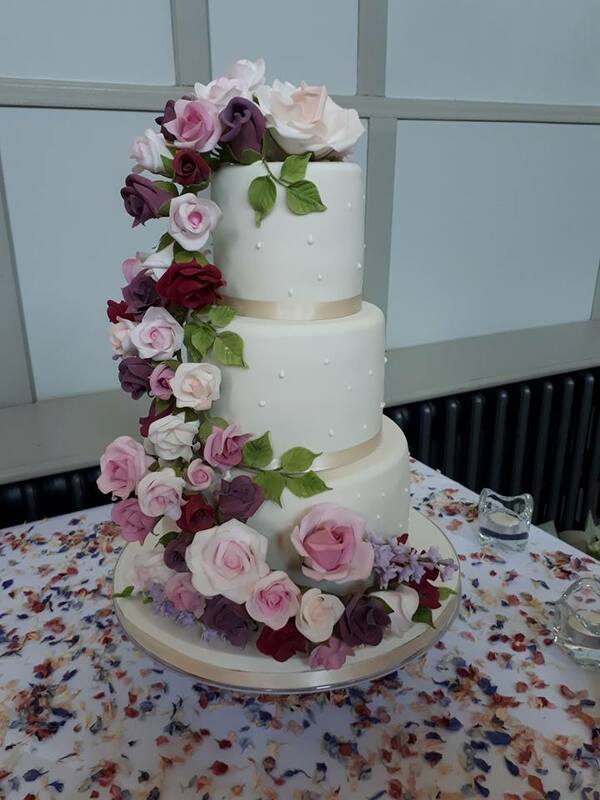 On the day, people couldn't stop talking about the stunning cake and macarons; they looked absolutely amazing and fitted with our theme perfectly, not to mention how utterly delicious they were! Thank you Jennifer, we couldn't have asked for anything more!" Thank you so much for all the hard work you put into our wedding. You made the most adorable cactus macarons for our fiesta night, and our wedding cake was STUNNING (it tasted good too!). People were raving. And perhaps most importantly to a bride and groom that were planning their wedding in England from the U.S., you were always responsive and on top of things. We never had to worry about a thing. To anyone reading this, we highly recommend Jen!" Jennifer made the most beautiful cake I have ever seen, for my wedding! My husband is from England and I am from the United States. We both live in the United States but had our wedding in the Cotswolds. Jennifer was so wonderful about emailing me and sending pictures months before my wedding. The day of the wedding, when I saw the cake, I literally gasped at how beautiful it was!! All of our guests were in awe!! It didn't only look spectacular, it also tasted divine!! We had Vanilla, Red Velvet and Strawberry Champagne. Jennifer, I can't thank you enough for making our gorgeous and forever memorable cake!!"